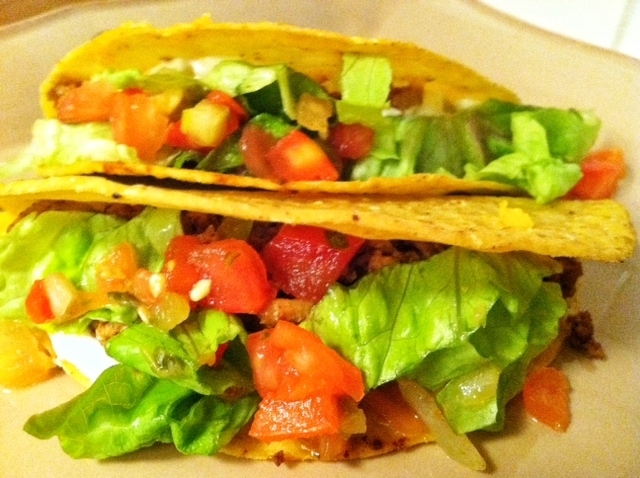 I’ve mentioned my love of tacos before. I really love them. I am not sure what it is? 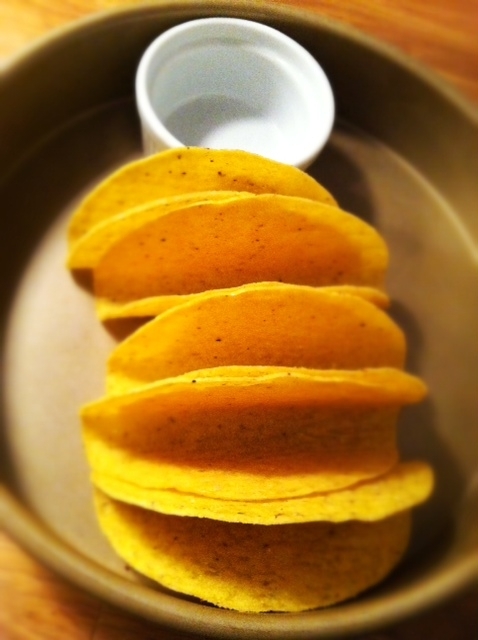 I am a fan of soft tacos and crunchy tacos. Chicken, beef or veggie. All of them. I am really a fan of most Mexican food. 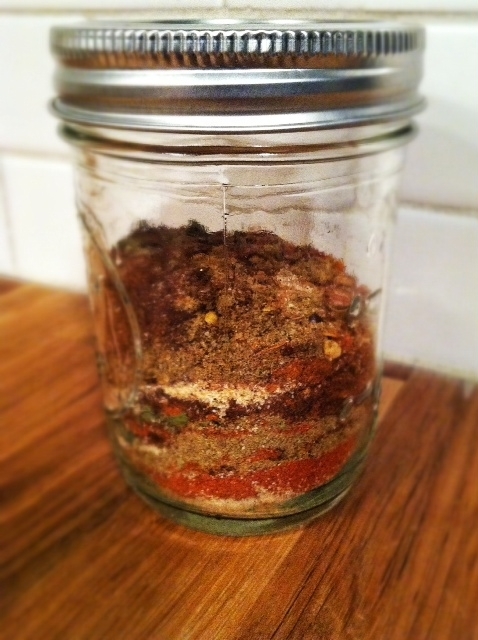 That’s why I decided to make my own taco seasoning. Clearly I need lots of it. 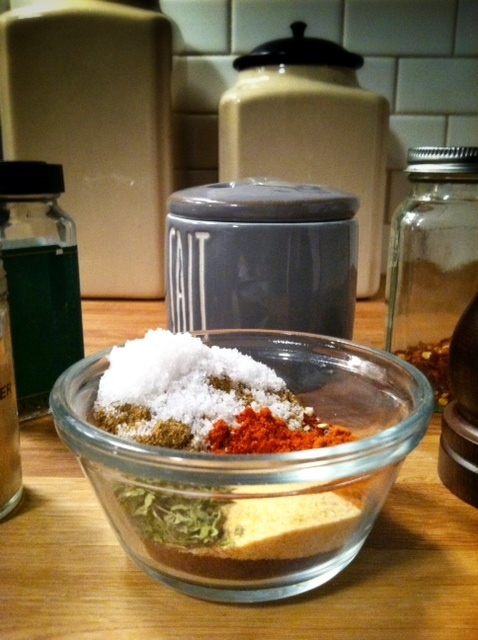 It’s very simple and you probably already have most of the ingredients in your spice cabinet. 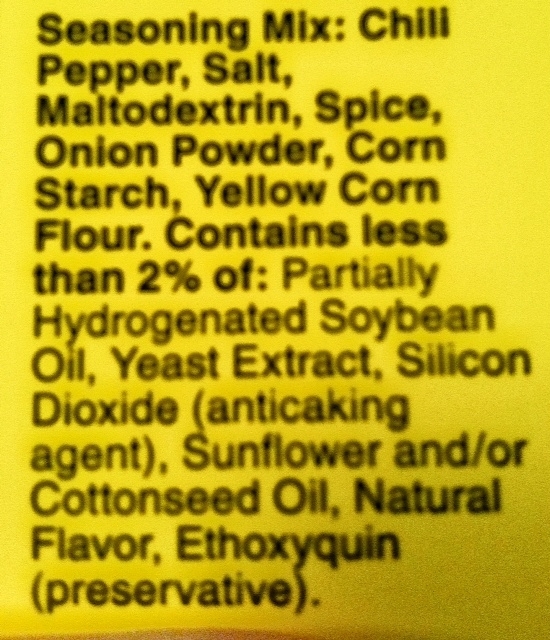 I am all about a short cut for easier cooking but when you look at a list of ingredients this long and then you think about flavor it can be better achieved by making your own concoction! Shake it up in a mason jar and it a look a little something like this. 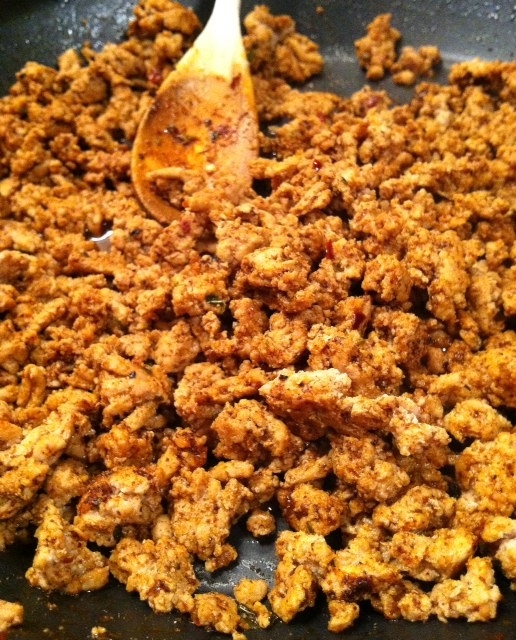 To one pound of ground turkey, chicken or beef, add 4 tablespoons of seasoning and 1/3-1/2 cup water. 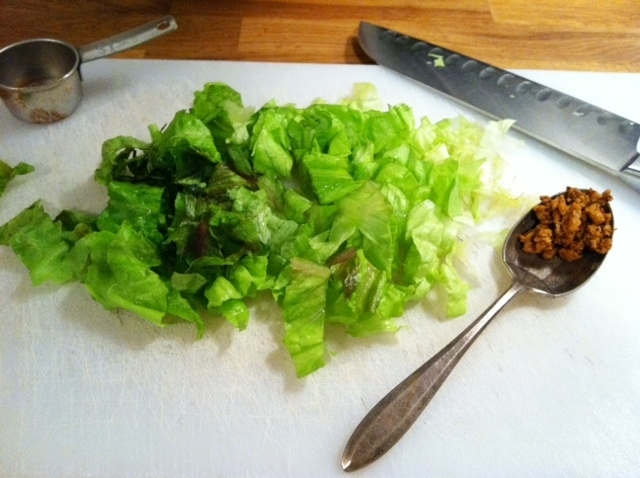 Stir until the meat is coated and the water dissolves. I like to line my crunchy taco shells in the oven and prop them up with an oven safe bowl if needed, to get crispy before stuffing them with meat and cheese and baking a minute more so the cheese will melt. 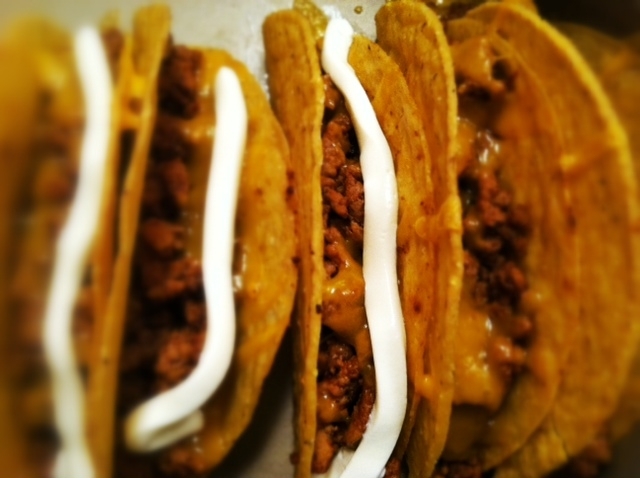 Then I use a plastic baggie with the end cut off to pipe the sour cream into the tacos without making a complete mess. 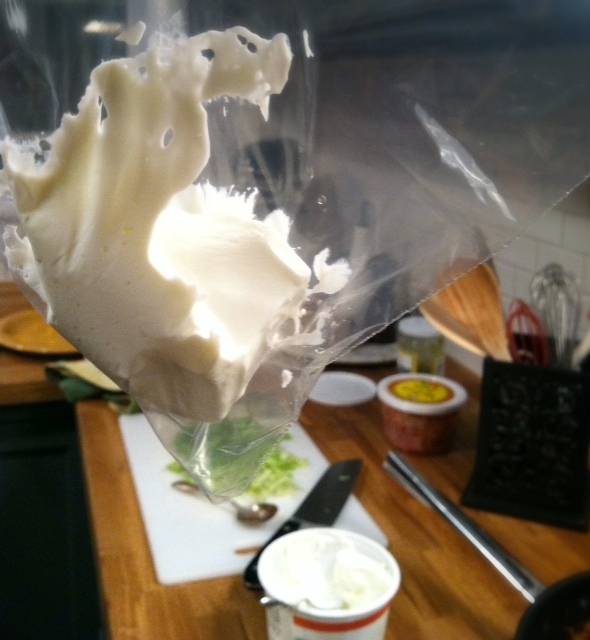 This is an easy way to distribute sour cream evenly. 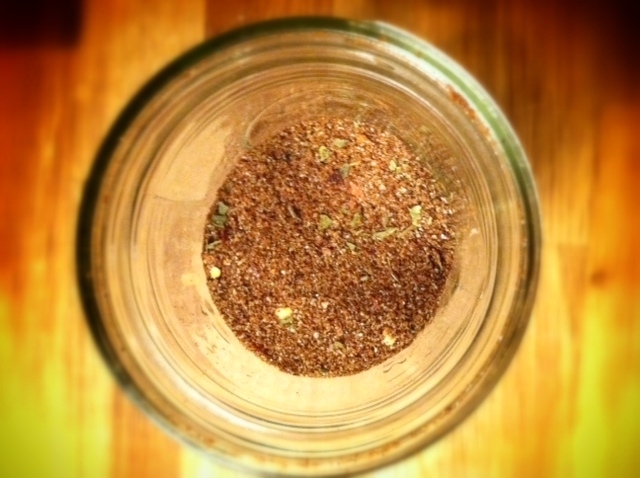 Add 4 tablespoons of spice mix and 1/3-1/2 cup water to 1 pound ground meat.